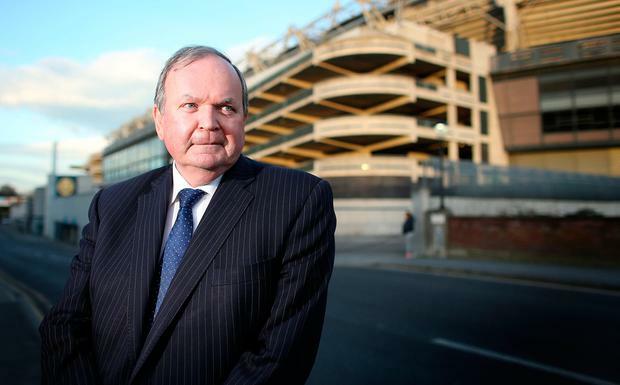 Former president of the GAA Liam O’Neill is the latest potential challenger to President Michael D Higgins, the Irish Independent can reveal. Mr O’Neill confirmed that the suggestion has been raised with him and he said he was considering his options. “It has been mentioned to me and I don’t think anybody would dismiss the opportunity or the thought of it so I’m considering the options,” he told the Irish Independent. “I’m very flattered that people would consider me,” he added. The Co Laois man, who served at the helm of the GAA between 2012 and 2015, is well-respected in sporting circles. Previously he described his tenure at the head of the community sporting organisation as his chance to live his dreams. Among the key decisions taken during his time at the head of the GAA was the sale of the rights of some games to Sky. In relation to his presidential bid, Mr O’Neill said he has not considered the means by which he will seek a nomination as it is still very early in the process. As previously revealed by this newspaper councillors in Fianna Fáil – the largest party in local government – will not face sanctions if they facilitate the nomination of a candidate. This has boosted the chances of an Independent candidate securing a nomination. Meanwhile, a meeting of the Fine Gael national executive is to be held tonight. It is expected the executive will rubber-stamp the decision taken by the party’s parliamentary wing to endorse and campaign for Mr Higgins. However, a blanket ban handed down to councillors is understood to be unlikely. Consultation has been ongoing with local representatives over recent days and it is expected that a directive will be issued to all councillors that the party is not to facilitate the nomination of another candidate. However, it is not clear what sanctions, if any, will be handed down to councillors who go against the party position. Mr O’Neill is the latest name to be added to a growing list of potential contenders. Businessman and former ‘Dragons’ Den’ entrepreneur Gavin Duffy is expected to launch his campaign in the coming week. Meanwhile, political pundit and former government adviser Noel Whelan is also considering a run. While Mr Higgins can nominate himself, a challenger needs the approval of four local councils or 20 Oireachtas members. It is generally accepted that there is only enough support in Leinster House to facilitate the nomination of one candidate. Independent TD Michael Fitzmaurice is working on gathering the necessary 20 votes on behalf of the Independent senators seeking a nomination. Three senators are seeking to enter the race: Gerard Craughwell, Joan Freeman and Pádraig Ó Céidigh. Ms Freeman, the founder of Pieta House, is not thought to be keen on the arrangement, however. Sinn Féin is due to select its candidate for the race in the coming weeks also. John Finucane, the son of murdered solicitor Pat Finucane, is one of the favourites within the party to seek its candidacy.